Drive online advocacy and conversation around the latest must-have football gadget – the Football Flick Urban – among online football-loving influencers, and mainstream media. Create in-bound links on target websites. Prohibition PR conducted key word analysis and optimised the video accordingly, before uploading to key video sharing communities. The agency then identified key media and online influencers, before outreaching the video, and product to them on a one-on-one basis. The video was also amplified through Football Flick’s own online channels through a programme of engaging content. 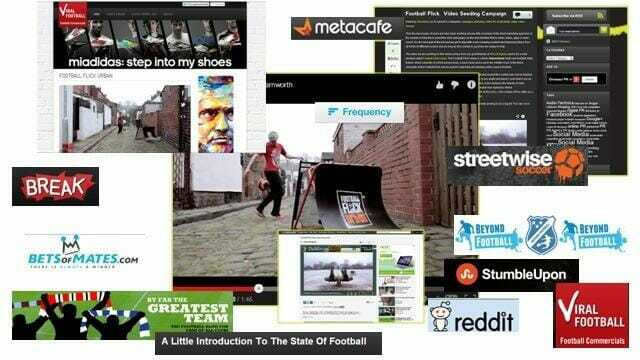 Online coverage was secured for the video and product on 15 key football-focussed blogs and news sites. 27 relevant football and sport communities advocated the video, while 54 twitter influencers shared the video. The video generated 85,000 views within month one, with more than 200 new channel subscribers. 80% of the viewers fitted within the product’s key audience.